I really wanted to try this style for a LONG time! 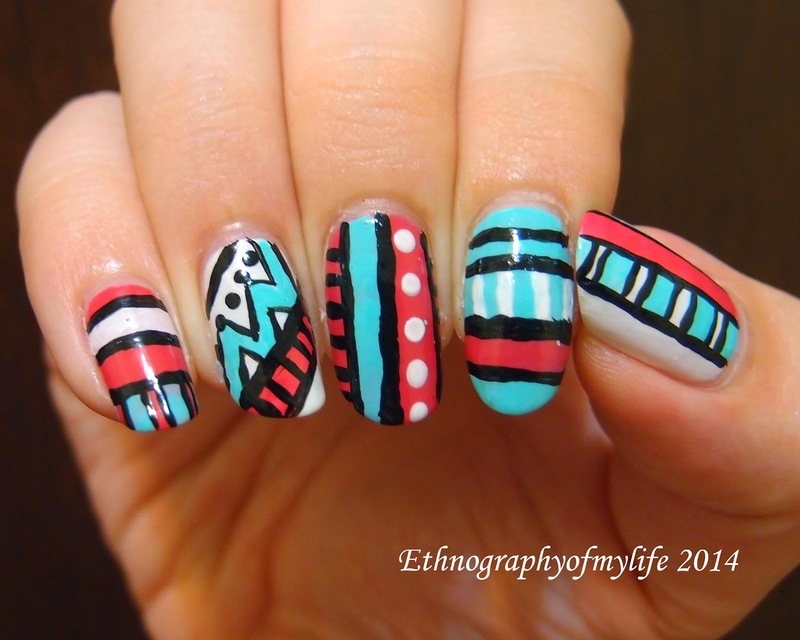 From anthropological point of view, this style can't be classified from 'Aztec culture'. I would say that it refers to the art style with defined outline and bright contrast color combination that can be called "Aztec". I love the bright color combination and interesting defined patterns, it certainly has its charm. I would love to wear the "Aztec" style of clothing with a dark color cardigan during summer too! Not sure if you noticed about, but the blue/green color is actually... NEW. It's called Beach Sweetheart from E-N@il line again. It's a sister color with Bikini, but slightly blue-r. You can imaginate how much I am in love with it!